I always knew that God would use me to do great things, but I didnt know it would be to this capacity. To see this many accomplishments at a very young age is a wow moment for me, there are certain things that the Lord has allowed me to accomplish that people don’t get around to until their 30s and 40s. I am grateful for the open door, I am grateful for the recognition and awards, but I must say to all of this It pays to operate in the plan and will of God and it pays to allow God to control your life. Sometimes we can do want we want to do, and what we feel will make us successful, but its not the plan of God, I’m so glad I have surrendered my life to God and I am in it for the right reason, so He blesses me in my due season. GOSPELflava: Give us some details about You’re Bigger and what’s on the rest of the CD. Jekalyn Carr: The live recording was just an amazing experience, it superseded my expectations. You know, its one thing for people to come to church just to come but when people come expecting God and just hungry for Jesus, its so much easier for me to release what God has for his people. The people of God such showed up and every song was received, it was such a powerful move of God on the night of the recording and the same experience from that night translates to the actual recording. You’re Bigger is the first single released from the album, it was written by my father and speaks to the conditions of life. We understand there is no perfect life, everybody will at some point find themselves dealing with situations and issues they didn’t know they were going to deal with, maybe you didn’t know it but God saw it and He knew it was coming. But sometimes, we let our situations get the best of us, not realizing that we have God’s promise, we are overcomers, we are more than conquerors, the scripture says Greater is he that it in us then he that is in the world, we are champions. So that the song ministers that in spite of the look of our situation, God is so much bigger, bigger than the universe, bigger than life itself, and whatever it is you are in, if you are in it, God can bring you our of it. There’s a song on the album called You Are Our Joy, which gives me the opportunity to express my love to Jesus and honor him for being our source of joy. There is never a dull moment with Jesus and we have his assurance that he will never leave us. When we put our trust in man, at the end of the day we will often times find ourselves unhappy, but when we put our trust In Jesus, He will care for us and comfort us. There is a prayer for healing on the album releasing and destroying the strongholds that have been released over the lives of people. When I tell you its was an amazing experience, you just don’t get songs but you get a real experience. I am excited to hear and experience the testimonies of deliverance that are coming from people who hear the album and receive the songs in the spirit they are given. 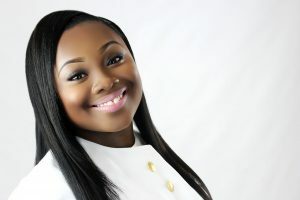 GOSPELflava: Who inspires Jekalyn Carr? 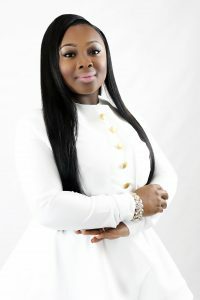 Jekalyn Carr: Well, I remember at a very young age my parents used to tell me not to mimic anyone else, because those people are already out there and people need to know who Jekalyn Carr is, and because of that, I try to be who God made me to be and people love me for me. Now I do have my mentors, and they are Pastor Shirley Caesar, Evangelist Dorothy Norwood, I know its kinda strange, but I cling to the traditional artists, those who have been out here longer than I have and have been out here for a while and they are still going. Pastor Shirley Caesar is in her seventies and hasn’t slowed down yet, she has longevity and keeps pushing and reinventing herself, so I appreciate them and I listen to them and their wisdom so that I can have longevity. This entry was posted on Thursday, May 5th, 2016 at 3:51 pm	and is filed under Album Releases, Artist News and Updates. You can follow any responses to this entry through the RSS 2.0 feed. Both comments and pings are currently closed.